HIGH POINT, NC - New orders for residential furniture were flat in September, breaking a 17-month string of growth for year-over-year orders, according to the latest survey of residential furniture manufacturers and distributors by High Point accounting and consulting firm Smith Leonard. Year-to-date orders remain 4 percent ahead of 2014 figures. 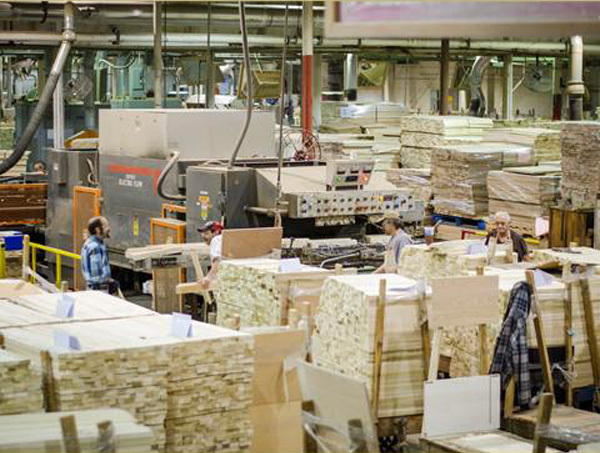 While more than half of those surveyed reported increases, this is lower than the almost 72 percent that previously recorded increases, according to the latest issue of Furniture Insights, a monthly publication of Smith Leonard. Shipments for September were up 3 percent compared to last year's figures, and 1 percent higher than August. Year-to-date shipments are up 7 percent. "At this time last year, shipments were 6 percent ahead of 2013, so the 7 percent increase is off of some pretty good numbers," noted Ken Smith, managing partner. 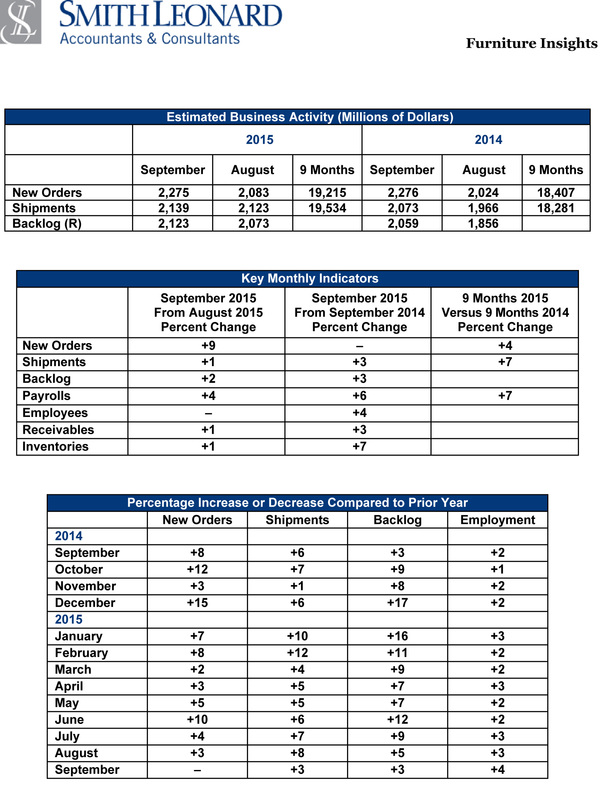 Backlogs were up 3 percent over September 2014 figures, but down from August's 5 percent. 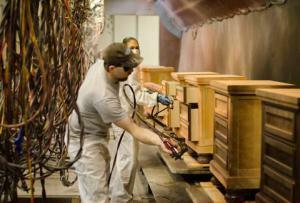 Furniture inventories were up 7 percent year-over-year, compared to 9 percent reported last month. "According to the Census Bureau, retail sales in October were up slightly from September and up 1.7 percent from October a year ago. 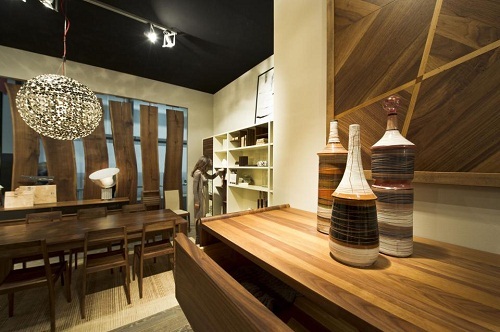 Sales at furniture and home furnishings stores were up 0.4 percent from September and up 5.2 percent over October 2014. Year-to-date, sales at these stores were up 5.5 percent over the same period a year ago. After some swings in the stock market, a good portion of what we lost has come back in October and November. So that is good. "Overall, we continue to hear business described as 'choppy.' Most we have talked with seem to have confirmed that the October market was a good one. Yet, we continue to hear that business is at best 'ok,'” Smith said.